Strange Horizons is having a funding drive! SH is an online journal paying semi-professional rates, which is completely free to readers. Awesome. Donations are tax deductible in the U.S. and donors get entered in a draw for a whole host of prizes, including 140 And Counting, our Seven by Twenty anthology—and donations from 140 And Counting contributors Marge Simon (artwork), David C. Kopaska-Merkel (signed The Tin Men and Other Poems) and Ken Liu (La Lluna en un Cove, including his “The Literomancer”). Other contributors who’re SH alums include Elizabeth Barrette, Robert Borski, Peg Duthie, Kaolin Fire, Deborah P. Kolodji and Brian Trent. So obviously they have very good taste indeed. Terry Ingram‘s “A Short Con” is included in the Atlas Poetica special feature 25 Tanka Prose edited by Bob Lucky. Ingram is also published in Atlas Poetica #9 (Summer 2011), along with Chen-ou Liu and Christina Nguyen. Peg Duthie‘s poem “Goose Goose Duck” appears in the latest Uphook Press anthology, -gape-seed-, and her poem “Prayer for Perspective” is included in Say a Little Prayer: A Journal, published by Chronicle Books. Simon Kewin‘s short story “KeyQuest” appears in the September 2011 issue of Spaceports & Spidersilk. You are all amazing. We’ve raised more than 300% of our goal on the Kickstarter appeal for 140 And Counting. I feel like this. Julie Bloss Kelsey has a new article up at GermantownPatch on making kids’ crafts from household waste. 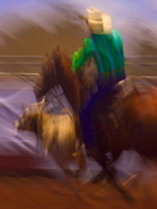 Ken Liu won 3rd place in an On The Premises mini contest for a very short story written entirely without the letter E.
Christina Murphy has a new poem up at quantum poetry magazine. Brenda Gannam has a beautiful video at Voices of 9.11: here is new york with her poetic response to 9/11. Heather Kamins‘ poem “The Atheist’s Prayer” is in the just released issue 96 of Chiron Review. Folks, we need $165 to break $1,000. I’ve decided that anybody who donates $48 or more in the next 48 hours1 gets free copies of every book we publish for the next five years (the Kickstarter appeal $100 reward level). If you don’t like Kickstarter, you can Paypal your pledge to joannemerriam at gmail dot com. 1That is, until 7 pm Central/8 pm Eastern on Sunday. 140 And Counting contributor Nathalie Boisard-Beudin has a piece called “Stories in the possible making” in the ALMOST issue of We Still Like magazine. 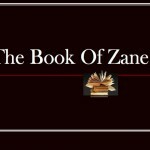 Tess Almendarez Lojacono‘s book The Book Of Zane has a new website. The Kickstarter appeal for 140 And Counting closes at midnight (Central Standard Time) on the 15th. 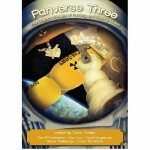 Ken Liu‘s novella, “The Man Who Ended History: A Documentary,” is out in the novella-only anthology Panverse Three, available directly from Panverse Publishing, Amazon, or B&N. Neil Ellman has poetry in ditch, a Canadian poetry journal. A. Jarrell Hayes‘ book To Woman, From Man: Love Poems is featured as book of the month for September in From A Writer’s POV magazine. He also did an interview last month for the Full Moon Bites blog, and is having an e-book giveaway this month. In other news, there’s just one week left on the Kickstarter appeal for the anthology. A $5 pledge effectively works as a pre-order of the anthology; a $10 pledge gets you the anthology and our next two releases (poetry chapbook Blueshifting by Heather Kamins and a re-release of editor Joanne Merriam’s poetry collection The Glaze from Breaking); a $25 pledge gets you the three releases, plus a sponsor listing in the anthology and on our website for the next year; a $50 pledge gets you the above, plus a one- to two-page manuscript evaluation by the editor on up to ten of your poems or a short story under 5,000 words; and a $100 pledge gets you free copies of every book we publish for the next five years!